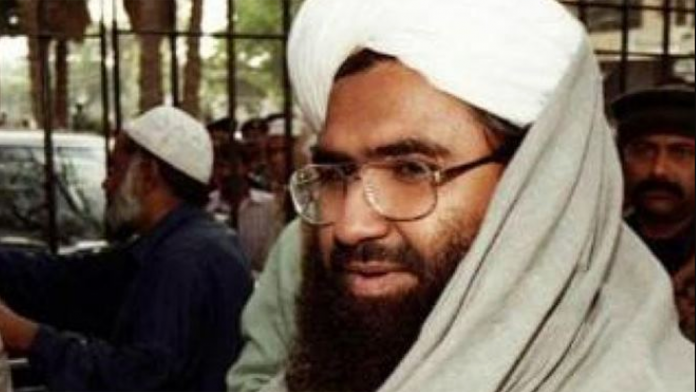 The big “charcha” Sunday was not on the prime time debates, but in flashes of “Breaking News” with two different narratives: Jaish-e-Mohammed chief Masood Azhar was “reportedly dead” (CNN News18, WION). However, channels like ABP News, Aaj Tak and Zee News suggested that not only was he dead but that he had been “killed” (“maara gaya”) in the Balakot air strikes by the IAF — WION said he “succumbed to injuries” sustained in the airstrikes. RepublicTV added to the confusion with “unconfirmed” reports that he had been shifted to a military hospital for “medical care”. There were conflicting sources for the speculation: CNN News18 quoted “top (Indian) intel sources” to say he died Saturday, while Zee Hindustan said, “Azhar maara gaya hai”, according to “local sources”. India Today anchor Vedika Sud discussed whether Rafale jets would have made a difference to the capability of the IAF — this was following the prime minister’s speech stating that Rafale jets could have delivered better results. Aaj Tak anchor Chitra Tripathi asked if India’s politicians are playing politics over the armed forces. On 3 March, JDU-BJP leaders skipped Central Reserve Police Force (CRPF) jawan’s wreath laying ceremony at Patna airport while PM Modi’s rally was on at Gandhi Maidan, Patna. Times Now anchor Pranesh Kumar Roy asked whether the BJP was using the armed forces to garner votes. A week after the Balakot air strike by the Indian Air Force (IAF), it’s still making front page news — but with a political twist as the Bharatiya Janata Party (BJP) and the Congress exchange fire on who, in the Prime Minister Narendra Modi’s words, is “demoralising” the armed forces and “raising questions” on the airstrike. Hindustan Times and The Indian Express lead with the PM’s speeches Sunday in Amethi and Patna with similar headlines: “Oppn is demoralizing our forces, helping Pak: Modi” (HT), “PM on airstrike: Opp demoralizing armed forces making Pak happy” (IE). The Times of India is more forceful — the government “blasts opposition for seeking proof of IAF airstrike”, it writes. The Hindu, meanwhile, confines the PM’s speeches to page 10. In their opening sentences, HT, TOI and Express agree that the comments are “raising the poll pitch” (IE), as the “political war of words… escalated on Sunday” with the PM’s attack on the opposition (TOI), leaving “no doubt that national security” would be one of the PM’s main “themes” in the Lok Sabha campaign (HT). The Hindu reports that the PM “condemned” the opposition for demands on proof. The newspapers extensively and verbatim quote the PM’s speeches and carry detailed reports on his comments and the opposition’s replies on the inside pages. Express alone reports the Congress reply to the PM, in an accompanying page 1 story: “Cong hits back: PM Modi raising questions, not us”. HT gives space to Bahujan Samaj Party (BSP) chief Mayawati’s claim that “Govt using Pak to hide failures”. TOI quotes Congress leader Digviyaya Singh’s exact words on “proof” that led to the PM’s attack as well as BJP’s S.S. Ahluwalia’s controversial remarks that the airstrikes were “not meant to inflict any human casualty” rather to “send a message” that India could strike deep inside Pakistan. On page 1, TOI refutes claim by TV news channels that Jaish-e-Mohammed chief Masood Azhar “may have been killed in the IAF attack on Balakot”. “In Amid rumours of his death, Pak moves Azhar out of Army hosp”, it quotes “intelligence sources” that the Pakistani Army has moved him out of Rawalpindi. HT and Hindu say “ICC rejects” the Board of Control for Cricket in India (BCCI)’s request to “ban” (Hindu) or “isolate” Pakistan in world cricket. TOI has an entirely different angle on the International Cricket Council: “ICC wants a say in IPL, BCCI says no way”. The ICC is “learnt to be making serious efforts” to place a “‘watchdog’” in place to “monitor” all private T-20 leagues, it writes. But BCCI says it has “no locus standi”. Express has its own sports exclusive, with “Wrestler claimed dal was spiked, CBI finds no evidence”. It reports that wrestler Narsingh Yadav’s claim on ‘dal tampering’ has been “quashed by CBI”. Amar Ujala reports that former finance minister and Congress leader Chidambaram — a staunch critic of the present government –praised the Modi government for commendable work in cleaning the Ganges and building highways. It says Chidambaram said at a book release, “Undaunted: saving the idea of India”, that all governments have some good programmes – and namami gange is one of them. He said he feels proud, “garv mehsoos ” for the good work on cleaning of Ganga and building of national highways. He said the present government has built more kilometres of roads than the UPA government — how can one deny this good work.